Tuesday, Thursday and Friday from 11 – 2. Our Reading Room is a place devoted to spiritual discovery. It is a combination bookstore, study room, and library open to the public where you can read, pray, ponder, or question. To aid this spiritual research, there are Bibles, Bible dictionaries, commentaries, and concordances available. An excellent help in your spiritual journey is Science and Health with key to the Scriptures by Mary Baker Eddy, the woman who discovered and founded Christian Science. It is the primary text on spiritual healing based squarely on the Bible, and has helped many thousands find peace and healing through a better understanding of God and man. Christian Science periodicals published by the Christian Science Publishing Society are also on hand. The Christian Science Monitor is an award-winning independent international newspaper providing in-depth coverage of current world events. Its mission is “to injure no man, but to bless all mankind.” It is now available online 24/7 at http://www.csmonitor.com/, and as a weekly print edition. The Christian Science Sentinel is a weekly magazine providing articles with spiritual insight into issues ranging from daily living to world dilemmas. It includes testimonies of spiritual healing that have come through reliance on God in prayer. The Christian Science Journal is a monthly magazine which also includes articles and testimonies of healing. It has a directory of Christian Science branch churches in over 60 countries around the world. The print edition of the Journal also includes a listing of Christian Science practitioners available for you to call when you want rely on spiritual prayer for healing, and Christian Science nurses who provide care for people having Christian Science treatment. The Herald of Christian Science is published in 13 languages for readers around the world to read articles and testimonies of healing in their own tongue. 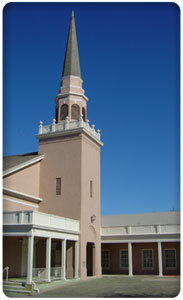 It includes a directory of Christian Science churches, practitioners, and other listings applicable to each language. The Christian Science Quarterly gives citations composing the weekly Bible Lessons for individual study. The Quarterly is available in citations only or “full text” version, which has the text of the passages from the Bible and the Christian Science textbook in a print edition. It is also available on cassette or CD. Come visit our Reading Room and refresh yourself with new views of God’s great love for you, His precious child!